April 1, 1964: Las Vegas casinos, fearful that blackjack card counters are beating the house, change the rules, forbidding players from splitting aces into two blackjack hands, and limiting the "double-down" bet. Unhappy players desert the tables, forcing casinos to cancel the changes three weeks later. April 2, 1990: The UNLV Runnin’ Rebels defeat Duke, 103-73, to win their first NCAA basketball championship, the biggest victory margin ever in the final game. Anderson Hunt led the scoring with 29 points, and Larry Johnson added 22. April 3. 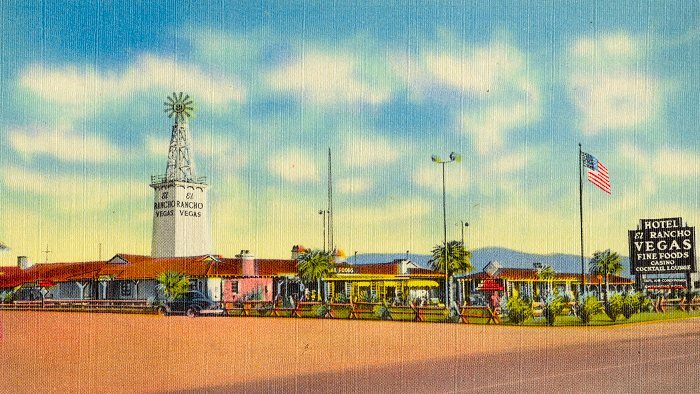 1941: Thomas Hull opens the 110-room El Rancho Vegas hotel, the first resort on what would become the Las Vegas Strip. It features horseback riding, a large swimming pool and shows in the Round-Up Room. The hotel would burn down in 1960. April 4, 2001: In my Vegas Confidential column, I reported George Clooney and Julia Roberts “put on quite a steamy show” at the Ocean’s 11 wrap party at the Bellagio’s Fontana Room several days earlier. The big night is cited as a possible reason for her subsequent split with actor Benjamin Bratt, but both stars deny it. April 5, 2000: The sham marriage of emergency room nurse Darva Conger and wannabe comedian Rick Rockwell is annulled seven weeks after they marry on stage at the Las Vegas Hilton without ever having met. He had picked her from contestants on a two-hour live TV show. There is no sequel. 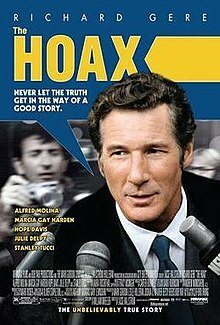 April 6, 2007: The Hoax, starring Richard Gere as con artist Clifford Irving, opens to good reviews and poor business. It recounts Irving’s bogus 1971 “autobiography” of Howard Hughes, who emerged from years of seclusion in his Las Vegas hotel to denounce the book and expose the scandal. April 7, 1997: Steve Martin, a private person and a serious art collector despite his comedic image, puts 28 pieces from his collection on display at the Bellagio. Admission fees to the five-month exhibit, which includes works by Picasso, Seurat, Lichtenstein, Hopper and Hockney, go to charity.